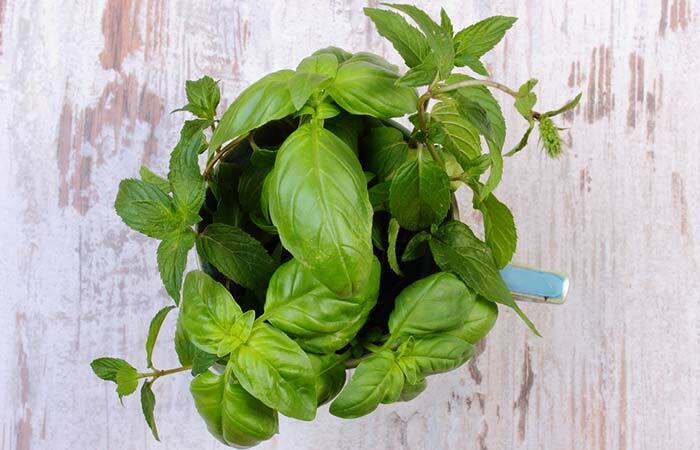 What should you do when life gives you mint leaves? Add them to your mojito for that extra zing? Of course, you can do that! We have a better suggestion – for which you will thank us later. 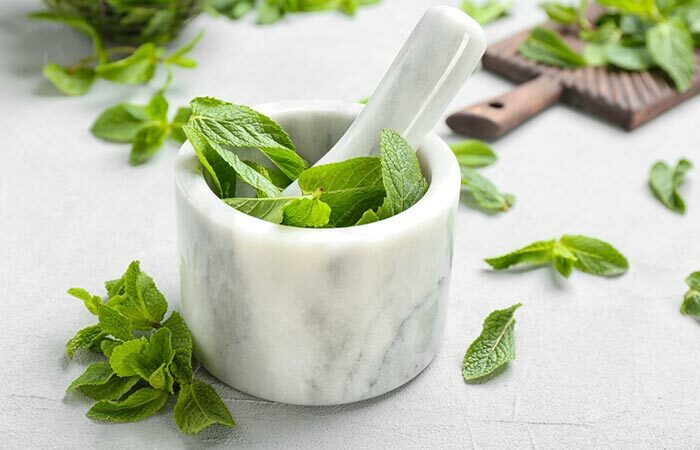 Mint holds a prominent place in beauty and skin care as it can help you get rid of acne and scars. 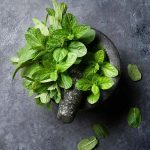 Wondering how and why mint can help with acne? The answers to all your questions are right here. Scroll down to know about all the benefits of mint leaves for acne! Salicylic acid is used for treating acne. It is an anti-inflammatory agent and is used for clearing clogged follicles. You will mostly find this ingredient in acne cleansing and skin peeling solutions. It reduces comedones, and compared to retinoids, it causes less irritation on your skin. Mint contains salicylic acid, and it has been widely used in Ayurvedic formulations for treating acne and other issues (1). Mint contains flavonoids and phenolics. They have excellent antioxidant properties and can inhibit the actions of the harmful free radicals. A study evaluated the antioxidant activities of wild mint and found that they help in reducing oxidative stress and treating skin issues, such as acne and hyperpigmentation (2). Unclogging the skin pores, reducing microbial activities and causing the acne to dry up and heal faster. Reducing inflammation (by lowering oxidative stress) and acne scars, thus helping in brightening your skin. Prohibiting bacterial growth, which leads to lesser outbreaks. Keeping your skin soft and supple. Here are a few ways you can use mint leaves to treat acne and acne scars. Add water to give it a paste-like consistency. Apply the paste to the affected area. Let it dry. Mint leaves are antimicrobial and contain antioxidants that suppress the acne-causing bacteria and reduce oxidative stress. This helps in reducing acne scars as well. Take a bowl and add the honey and mint paste to it. Blend the mixture well and apply to the affected area. Let it stay for at least 30 minutes. This treatment works exceptionally well for those with dry skin. 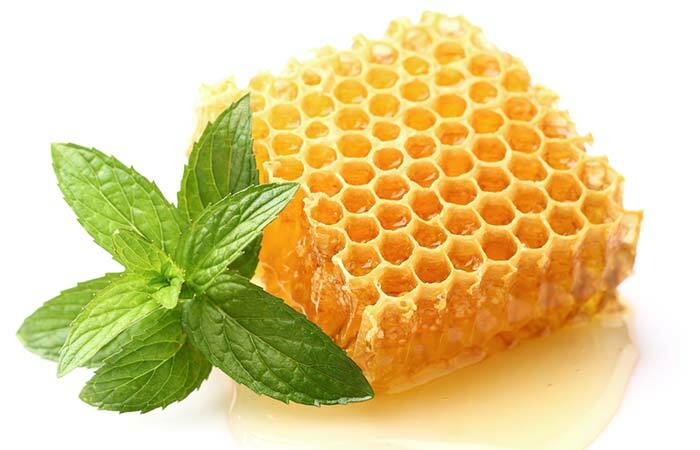 Both honey and mint have antibacterial properties that work on acne and blemishes like magic. Moreover, this face pack will not dry your skin as honey is a humectant, and it doesn’t let the moisture escape from your skin. Grind the mint leaves and make a smooth paste. Mix well with rose water. Apply to the affected areas. Let it dry for 30 minutes. Once daily until the acne is gone. Rosewater not only controls excess oil secretion but also helps in maintaining the pH balance of your skin. It keeps your skin hydrated and soft and is a natural astringent. Together with mint, it protects your skin from acne-causing bacteria and prevents skin issues. Crush the mint leaves and grind the oats. Mix both the ingredients in a bowl and then add honey and cucumber (juice or pulp) to it. If it is too thick, add some rose water. Apply it all over your face, focusing on the affected areas. Gently rinse it with water. This face scrub can rejuvenate your skin and help you get rid of excess oil and bacteria. 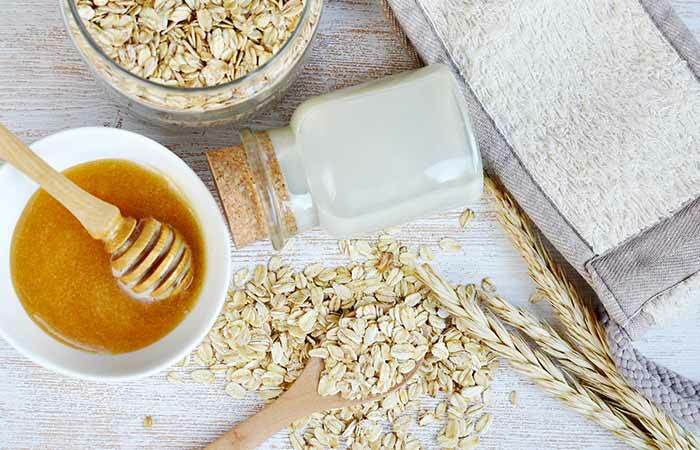 Oats gently exfoliate the dead skin cells, preventing them from accumulating in the follicles. Mint, honey, and cucumber keep the skin hydrated and reduce inflammation. Crush the mint leaves and mix with olive oil and lemon juice. all over your face or just the affected area. Gently massage and let the skin soak it in for 20 minutes. This face pack works well for all skin types. And if you think that olive oil is going to make your skin more oily and cause acne breakouts, that’s a misconception. 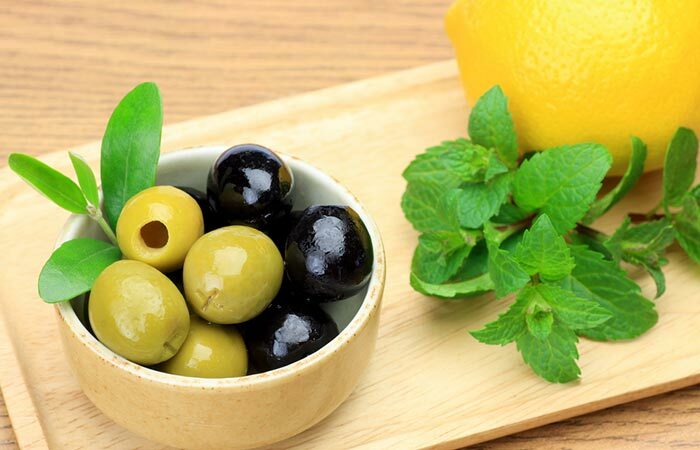 Olive oil contains antioxidants and oleic acid, and, along with mint and lemon, it helps in getting rid of acne-causing bacteria. Mix all the ingredients and then apply the face mask. Wash it off once it is dry. This is an extremely rejuvenating face pack that soothes inflammation and heals acne, sun damage, and hyperpigmentation. Yogurt hydrates your skin and minimizes blemishes. Cucumber and mint cool your skin and help in soothing acne and scars. 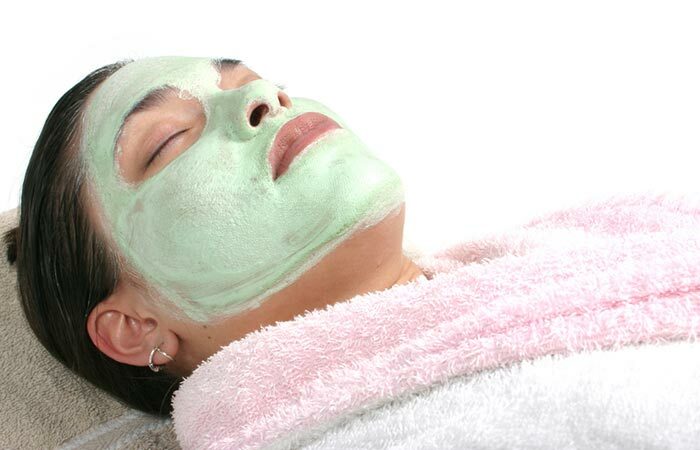 Tip: Before using the face pack, store it in the refrigerator for 15 minutes for a relaxing effect. Crush the mint leaves and make a paste. Blend the multani mitti and yogurt well. Check the consistency. If it is too thick, add more yogurt. Add the mint paste to this and mix well. Apply the mask evenly all over your face and neck. Once dry, wet it with a cloth soaked in lukewarm water. When the pack is soft, gently wash it off using circular motions. 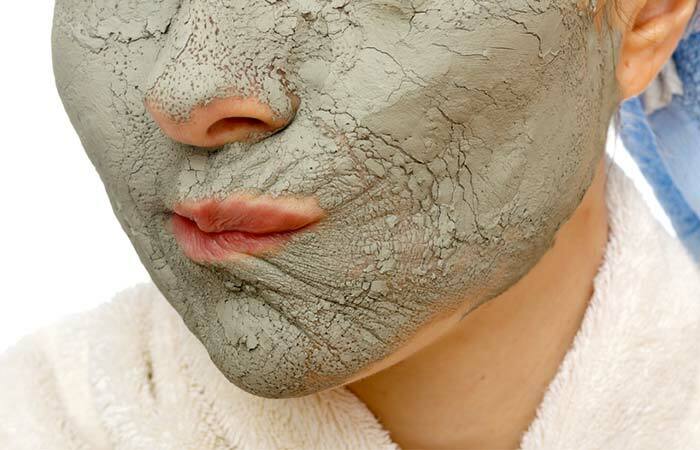 Multani mitti exfoliates and cleans all the dirt and excess oil from your face, unclogging the pores and reducing acne inflammation. Mint and yogurt kill the bacteria, nourish your skin, and make it glow. This face pack is also good for removing sun tan and pigmentation. Crush the mint and basil leaves together. Add the aloe vera gel and make a smooth paste. Apply this paste on your face and leave it on for at least 20-30 minutes. 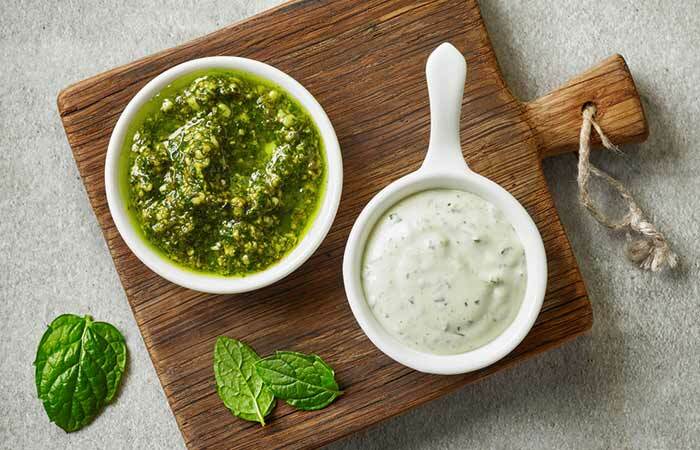 Mint and basil are your skin’s best friends. These herbs not only eliminate breakouts but also clear your skin of infection and keep it glowing and healthy. boil on a low flame for 5 minutes. Turn the flame off and place a lid on the container. Allow it to cool down. Transfer to a spray bottle. You can store it in the refrigerator. Spritz the toner on your face. This toner has astringent properties and is a rich source of salicylic acid (thanks to the mint leaves) that prevents acne and keeps scars at bay. It also makes your skin feel refreshed and is your perfect companion during summers. Take a container and mix all the ingredients. If it is too thick, add more yogurt to it. Spread it evenly on your face (leave the eye area) and let it dry. Once dry, soak your hands in water and press them on your face until the pack is soft. Gently massage and wash the pack off. This easy-peasy face pack is both cooling and rejuvenating. 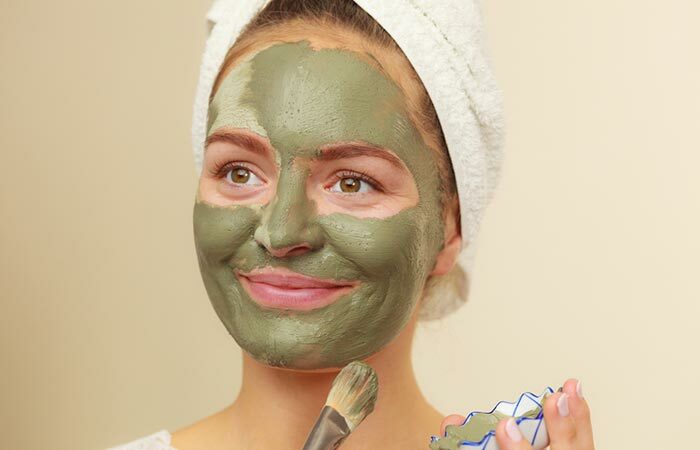 The clay cleans the dirt from your face while yogurt and mint clear blemishes, kill the acne-causing bacteria, and prevent any further breakouts – without stripping your skin of its natural oils. Are you ready to try these minty delights on your face and give acne and acne scars a tough time? Use these today and let me know which one(s) worked for you. Of course, if you have got more tricks up your sleeve to make acne disappear, do share them in the comments section below. Till then, keep glowing! 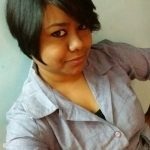 How To Use Lemon Juice For Acne Scars? 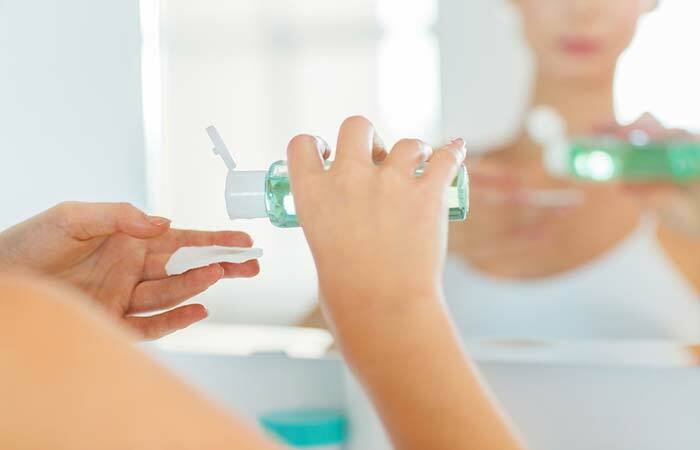 Benzoyl Peroxide Vs. Salicylic Acid: Which Is Better For Acne Treatment?